If there are specific combinations of field items that you are interested in, then you can use SuperWEB2's custom data feature to combine items into your own groupings of values (also referred to as "recodes"). 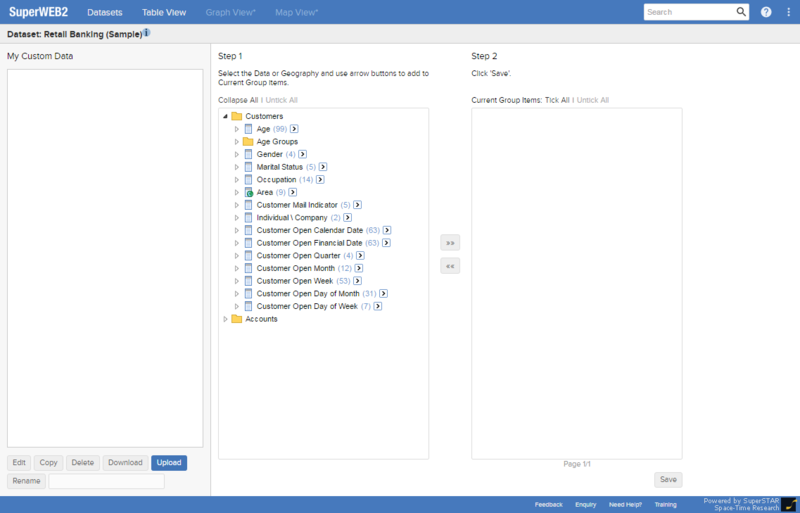 SuperWEB2 displays the My Custom Data screen, where you can create and manage your groups. 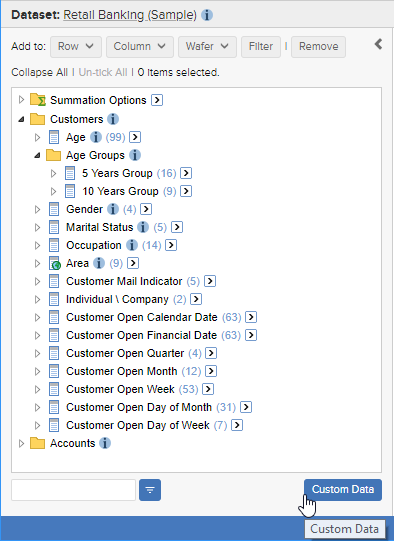 Once you have created a custom group, you can use it in your tables. Your custom groups will be saved on the server and you can access them again the next time you use SuperWEB2. You can also download/save your groups to a file, which you can share with other SuperWEB2 users. 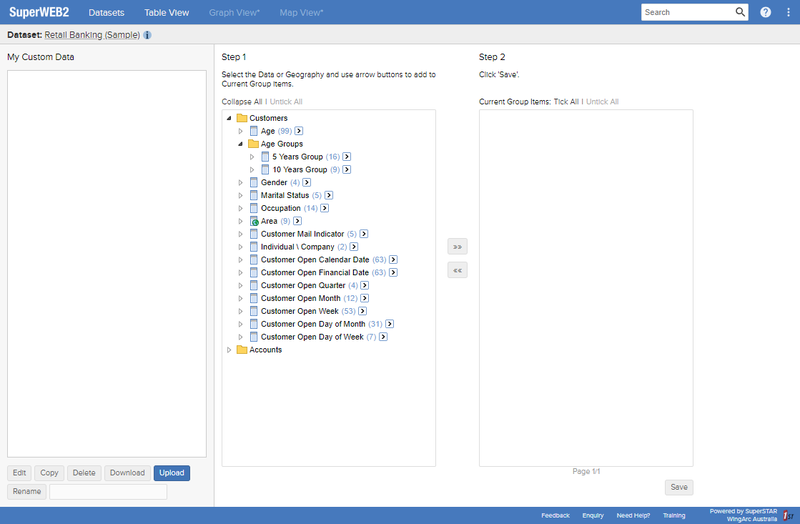 Learn how to create a group by selecting items from a list. Edit the group by adding and removing items. 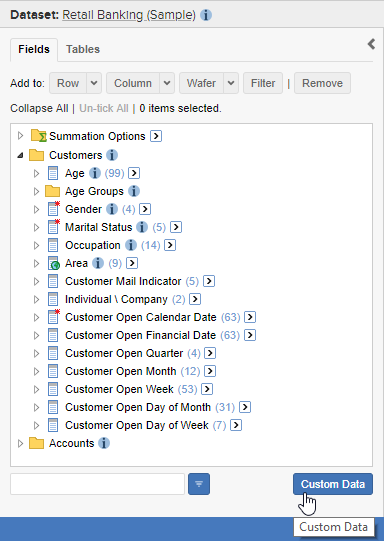 Create a copy of the group (for example if you want to create another similar group you can start with an existing one as a template and then edit the copy). Save the group to a file and reload it. Saving to a file also allows you to share your custom groups with other SuperWEB2 users. You cannot access Custom Data if you are logged in as a guest user.